'The Mortal Instruments: City of Bones' Polish poster. . Wallpaper and background images in the Jace & Clary club tagged: the mortal instruments city of bones poster 2013 clary fray lily collins jace wayland jamie campbell bower. 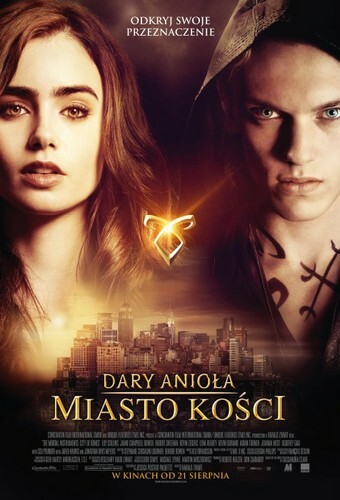 This Jace & Clary photo might contain ڈاؤن لوڈ ہونے والے, مزاحیہ کتاب, منگا, کارٹون, ہالی ووڈ, and کامک بُک.